When my twins were 18 months old, and I was waiting for them to turn babble into words, I still wondered: would they say agua or water? Más or more? Thinking back, it was a preposterous thought. My husband Adrian and I had spoken only Spanish to them since they were three months old. Having English-speaking toddlers was a linguistic impossiblity. Yet I, an Irish-American who learned Spanish as a second language, doubted whether I could really pull this whole bilingual thing off — even with a native Spanish speaker for a husband. Of course Spanish was the twins’ first – and four years later still their dominant – language. But the journey hasn’t been easy, and I wanted to share some insights on raising bilingual kids for parents just starting out. While many of these are lessons for parents for whom, like me, Spanish is a second language, some will resonate regardless of your fluency level. I had lived abroad, and conducted business, friendships and courtships in Spanish…but I’d never uttered a word of Spanish baby talk. I didn’t even have the vocabulary for it. So even though we had both decided we wanted to raise our kids to be bilingual, we had a late start. My husband Adrian, a Cuban-American who grew up in a bilingual household, hesitated too. We had a hard time committing, until a friend who was raising her kids bilingual in Chile made it pretty clear: “If you want them to be bilingual, you have to start now. And don’t stop.” I started imitating my in-laws’ baby talk. It took three weeks of awkward starts and stops to fully adjust, and we’ve never looked back. Now it’s awkward to speak to the kids in English. I’m lucky that Adrian and I were equally committed to this. On those rough parenting days, I’m sure I would have given in to English if he weren’t there to keep me on track (and vice versa.) In fact, when I get really mad at the kids, I resort to English from time to time. I’ve needed his support to stick with it. My parents, who only understand basic Spanish, are fully in support of our plans for raising the kids bilingual. That said, the process hasn’t been easy on them. For a good year, between the time the kids started talking and when they began to fully understand English at preschool, my parents struggled at times to communicate with the boys. I didn’t acknowledge that properly at the time. It was hard to realize it as it was happening, and I was so focused on the long-term goal. I can’t control what languages other people speak to my children – not even my in-laws! Isn’t that a universal truth of life and marriage – that you can’t control other people? Of course! But somehow, in my pre-kid, deluded head, I thought that if asked, they would unequivocally speak to the kids in Spanish. I failed to take into account that my in-laws are most comfortable speaking in both languages – simultaneously – starting a sentence in one and ending in another. I had to stop being such a control freak – and learn to cherish the Spanish poems and songs my father-in-law continues to teach them. I know the native-Spanish speaking moms at my preschool notice when I struggle to find the right word to say in the morning, or have a conjugation fail (which is often – who invented the subjunctive anyway?) But you know, despite my less than Giselle Bundchen-like body, I spend the summer at the pool in a bathing suit too. I let my flaw flag fly. The research is on my side, too, showing that more exposure to the language – even with the missteps – is a benefit. I went into this as a purist, considering any exposure to English as toxic. I tried to remove it from my bookshelf and my radio dial, even looked (unsuccessfully) for a bilingual preschool I liked. I was adamant. I didn’t really have to be. By surrounding them with spoken Spanish at home, we’ve been able to make it work – even with an English-language bedtime story from time to time. I’m lucky; I live in Miami, where raising bilingual kids isn’t exactly a novel idea. Se habla español pretty much everywhere. I’m still surprised, though, by the number of ignorant questions I get when people hear me talking to the kids in Spanish. My favorite: But how will they learn English? Um, at their monolingual school in the U.S. of A? I laugh at that last one, but I also know that the kids are approaching a critical moment in their language development. In January, the boys will be five. Kindergarten awaits, and the more time they spend in school, the more friendships they make in English, the harder it will be to maintain their Spanish. I’m bracing myself. I hope in five years, I’ll be able to write again about how we made it work, but I can’t be sure. Who Is A Native Speaker And Does It Matter? 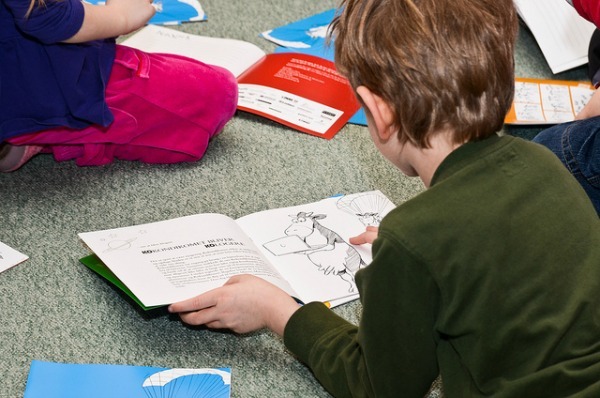 Raising Bilingual Kids with the mL@H Method Really Works! Bravo for you and your hubby to keep each other on track. It isn’t easy when everyone (or at least one side of) the family speaks only English. I think if my husband and his family spoke Spanish it might have been easier, but that should never have stopped me from trying. 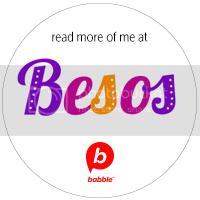 I am new to this site and LOVE reading everything on here because it motivates me to speak more Spanish to my kids. Thanks for the tips and encouragement. Welcome, Stephanie! So glad you found us! 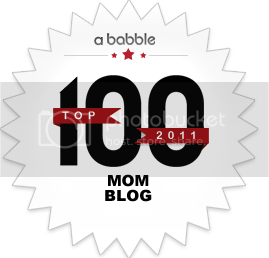 The whole idea behind SpanglishBaby is to create a community where others raising bilingual children can come and feel supported and encouraged, like you said. Keep coming back to visit so you can continue to feel motivated. Raising bilingual children is hard, but it’s an amazing gift we’re giving them! I could so relate to this article. I have done so much of what you described, and it has paid off. I am constantly told how well my kids speak Spanish. I am glad to hear the experiences of other non-native speakers too. Thank you for a well written article that really makes me feel like I am doing the right thing for my boys. I posted over on Facebook, but I again want to say how reassuring it was to read this article. I love reading things like this because they encourage me to KEEP SPEAKING SPANISH! My son is only 14 months old, so being non- verbal (mostly) I wonder– maybe he will understand Spanish, but will he speak? Time — and my efforts– will tell. Kudos to Marika for a job well done. Thanks for a great story! I can completely relate although I got a late start. I enrolled my daughter in a Spanish immersion school for first grade, and then started reading and speakng to her in Spanish at home (I only speak intermediate though, working on it though!). My poor husband, who doesnt speak ANY Spanish (well..except cerveza!) wasn’t thrilled about this! But after a year, it’s paying off and I’m so glad I did it. I’m proud to be raising a bilngual kid! You reminded me it’s even challenging for people who speak the language much better than I do. Kathleen, good for you and for your girl. I’m sure speaking to your child in a language your husband doesn’t understand can’t be easy or fun for him, but I’m glad to hear you’re sticking with it. Your daughter is one lucky girl! 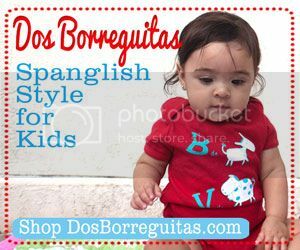 I love Spanglish Baby! This is the only place that I hear about other families that look and sound like mine! Sometimes it is lonely to be the only ones, and it is so heartening to hear other people’s stories of success. Especially since we don’t live in a part of the country with a much smaller population of Latinos. We only speak Spanish at home with our son who is almost three and very talkative and as I had heard him switch languages quickly when we are out to dinner with my parents or when he is going into his English only preschool, I assumed that he was making a complete swtich. He has spent the last couple of days at my mom’s house and she only speaks very basic Spanish, that she picked up as a public school teacher in a district with lots of migrant families. My mother has told me that the vocabulary he has in Spanish from home must be much larger than his English vocabulary from school because he frequently will speak English peppered with Spanish nouns, like “Nana, I want to go swim in the piscina”. I am really proud of him, but I will be adding one or two English language bedtime story books to the 4-5 we normally read, to satisfy Nana and because an extra book at bedtime never hurts, in any language. Thanks, Casey! I totally get what you’re saying about vocabulary. I feel the same way about my daughter’s. Even so, I know the tables will turn soon enough. I’ve already seen a huge difference now that she just got done with her first year immersed in English in kindergarten. I can totally see how eventually, I’ll be fighting to make sure her Spanish vocabulary continues to grow at the same pace as her English vocabulary… considering that during the school year, she spends most of her waking hours surrounded by English. Would love to know how your adjustment to bedtime reading works out. And you’re totally right, an extra book at bedtime never EVER hurts! Great post, Marika. I pretty much had the same approach (with my son’s dad being the non-native Spanish speaker), and I have no regrets. I feel it was/is both a gift and practical tool that we gave him to be a well-rounded, versatile person. English does begin to dominate once they’re in school full time, but I’ve been pleasantly surprised by how my son (soon to be 7) continues to speak to his grandparents, great-aunts/uncles and others in the family (including me) in Spanish. He is (thankfully) taking Spanish in school, which I think is a great help. Much luck as you continue down this path. Wow i felt like you wrote this article for me! My son is only 14 mo and you addressed all of my fears about trying to raise him to b bilingal. Especialy about not knowing “baby talk” in spanish and how now speaking english to him feels a little akward. Thanks for the encouragement and reasurring me that this can work. What a gift you are giving your boys! To grow up being able to speak two languages – well, I take my hat off to you both for persevering!! Marika, everybody here has pretty much expressed exactly what I felt the first time I read your post. Although we all have different backgrounds and are using different methods to raise bilingual children, the truth is that we all go through some of the same things and have learned some of the same lessons along the way. I love that so many in our community were able to not only identify with what you’re saying, but also felt encouraged to continue on thanks to your words. Thanks so much for that and I guess we need to thank Jon for “introducing” us to each other! Looking forward to future posts from you! Any advice? should I talk to her in English? should I wait until she speaks spanish? hola! que gusto ver leeido este articulo con el que tanto me relacione por experiencia propia. Gracias. me gustaria que me respondieras a este comentario gracias. Thank you! without having side effect , folks can take a signal. Marika Lynch is president of Marika Lynch Communications, which helps nonprofit clients increase their impact through storytelling. Before opening the firm in 2008, Marika was an award-winning reporter and editor for the Miami Herald, where she covered stories from Tallahassee to Bogota. She earned her bachelor's in history and Latin American studies at Georgetown University and served as a Rotary Ambassadorial Scholar in Mexico City. She lives in Miami with her husband and three boys.